Turn that Junk Room into a Man Cave! If you’re tired of your living room turning into a sports venue every weekend maybe it’s time to do something about it! With a bit of paint, elbow grease, and ingenuity you can turn a spare room into a man cave and move the team there whenever there’s a big game. Here are some tips for doing just that. First of all, if you don’t have a spare room get creative. A basement or garage can work just as well, you’ll just need to add insulation and perhaps paneling. The main idea is to have a big enough space for an extra sofa and a chair or two because the only other furniture you’ll need is side tables and a TV. Of course, you’ll want to add some team decorations when you’re done, and a trip to the local fabric store or a visit to NFL Shop can take care of the decoration details! First of all, empty the room. Then you’re free to paint the walls the color of your choice; either team colors or a neutral shade you can later decorate. The main idea is to have a clean slate and add details as you go. For furniture, as mentioned above you’ll just need basic seating. A dorm fridge is a good addition and in a pinch can be used to hold the TV. Ideally you’ll want to mount the TV on the wall though so it’s easy to see from every seat. If you have kids or teens you might want to get a couple of team beanbag chairs; if your favorite fan likes to entertain you can add a bar and stools. With a NFL Shop coupon you can add throws, glasses, and wall décor; if you follow more than one team you can dedicate one wall to each team. As a bonus, if your kids participate in sports your man cave is the perfect place to display their trophies. That way they’ll feel like one of the gang when it comes to game day! Are You Ready for 11.11 Singles Day + Black Friday Shopping Spree? 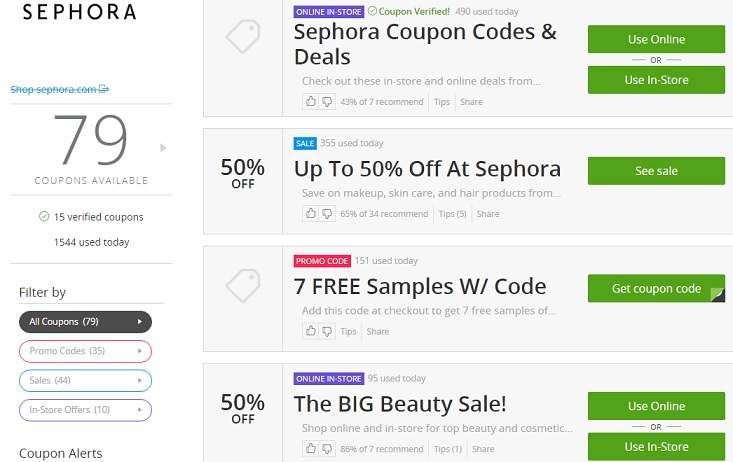 The question is out, are you 11.11 Singles Day and Black Friday Sale ready? Everyone I know is getting set for the 11.11 Singles Day and Black Friday Sale – two of the most sought after dates of the year that are dedicated to scoring bangs upon bangs for our buck, when brands go as low as 90% off! Yes, we have waited practically the whole year, putting off on purchasing that dream item. Because really, why would I buy it at the regular price, when I can practice good ol’ delayed gratification, and get a higher E.Q. score as a result! Haha! It has a lot do with wise retail shopping, and when you come to think of it, and ounce or two (or more) of prudence. 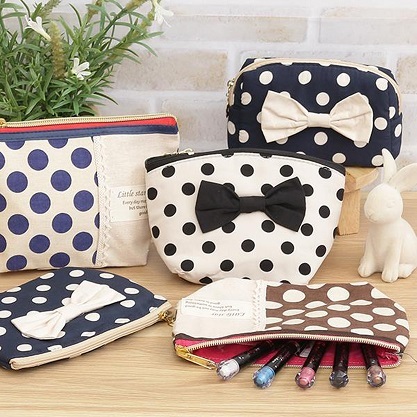 Whether you are a budget-conscious mom like me or not, it is always a treat to be able to buy items at the fraction of its actual cost, right? 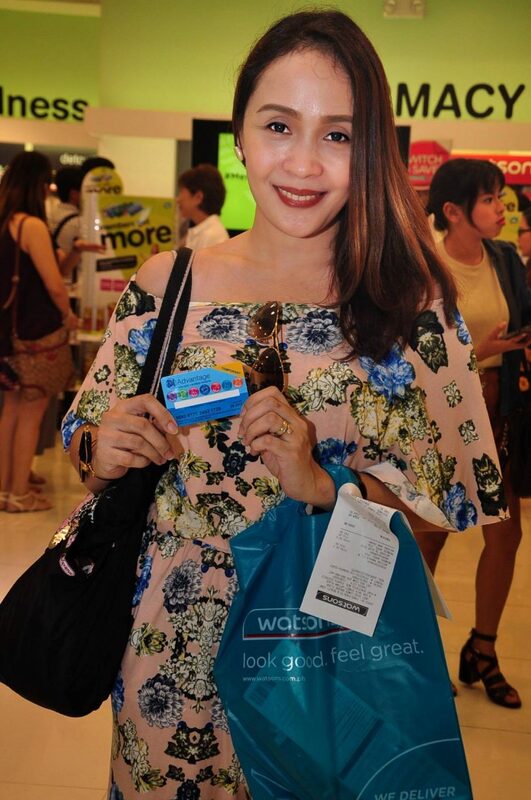 Shopping for beauty and health products is made even more satisfying as Watsons turned it up a notch for us, with its “Members Get More” campaign. 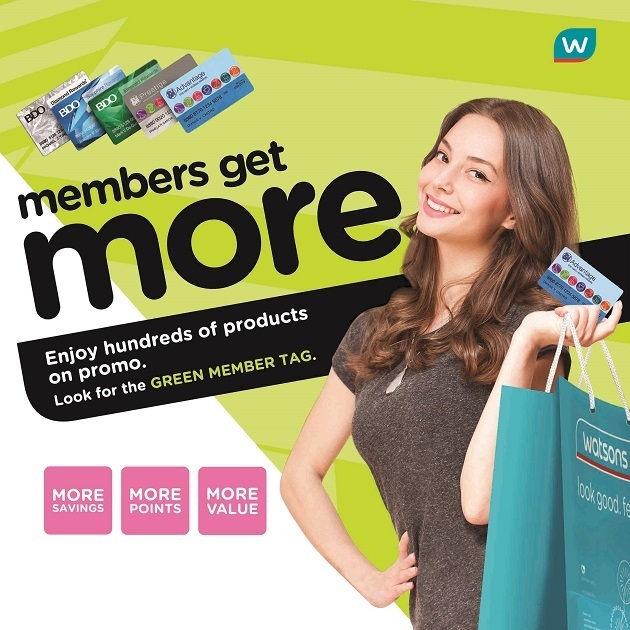 The Members Get More promo is designed to give us more savings, more points, and more value for our buck in more than 500 Watsons stores nationwide, giving us more reasons to go back to Watsons and avail of more rewards and exclusive privileges, whenever we use our SM Advantage cards. 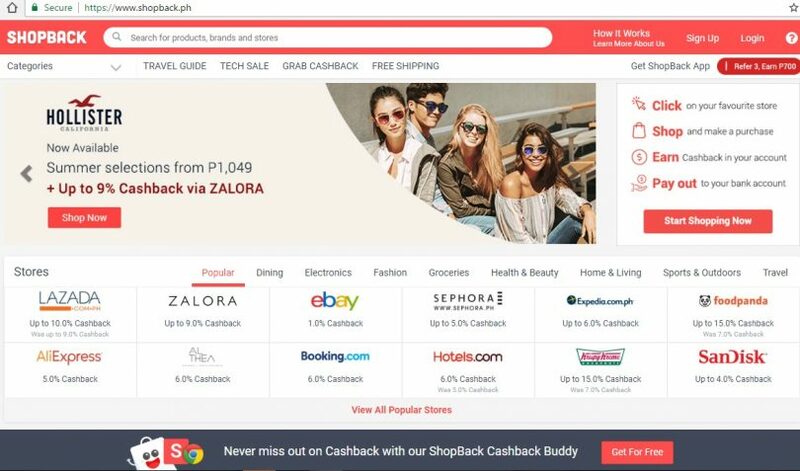 Through ShopBack, we can earn cash incentives each time we shop. I don’t know about you, but I cannot be more thrilled with the advent of online shopping. Come to think about it, I might have been shopping online for close to a decade now. For me, nothing beats the convenience of shopping online. Unlike shopping in actual stores, where I tend to impulse more, online shopping allows me to pause, open another tab, browse through actual product user reviews, before I jump right in and click that check-out tab. 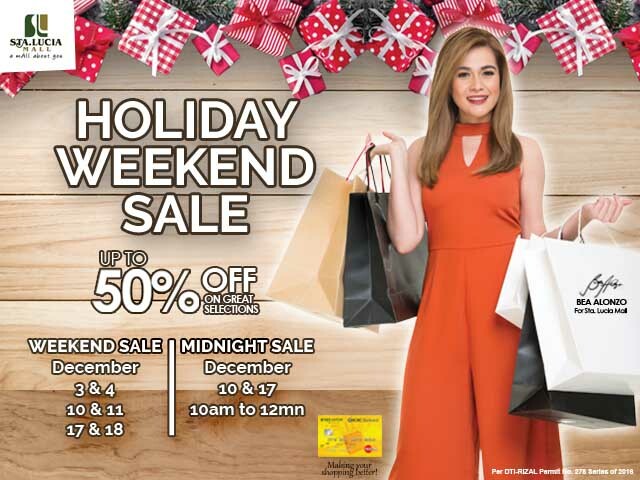 Catch up to 50% off all weekends of December at the Sta. Lucia Mall. 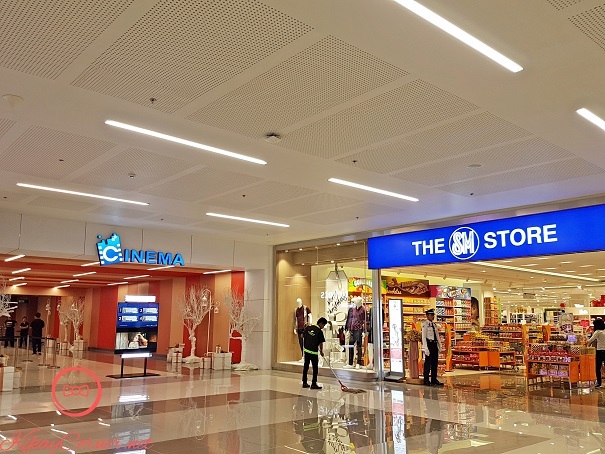 SM Supermalls recently launched its newest mall, SM City East Ortigas, on December 02, 2016. Situated in the eastern part of Metro Manila, with 80,000 sqm in floor area, is the newest landmark and go to place within its targeted community. For over a decade now, there was never a time that I failed to do my research on online products or services before purchase. This has become a non-negotiable for me, a default when I am looking into purchasing anything for the first time. We all want our money’s worth, right? This is why it is always best to read through user feedback and online product reviews. 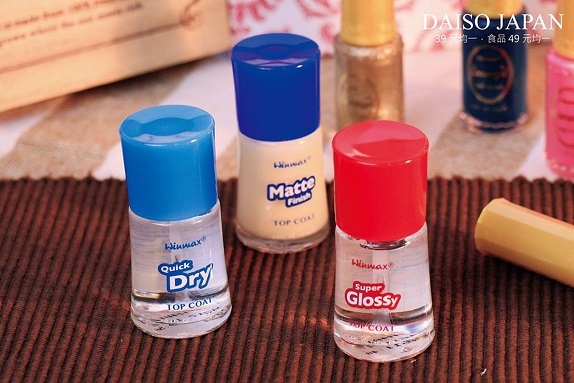 Whether it’s a brand of lipstick your are going to purchase for the first time, a professional camera or a spelling software you are looking into purchasing to supplement your homeschooling curriculum. For whatever product or service, I find that I have better confidence in shelling out my hard earned moolah when I make well-informed purchase.